Exercise is the most important component to your health when you decide to take control of your life. Many people focus on diet, but it’s exercise that burns the calories and improves the metabolism. If you want to improve your fitness level, it takes both attention to diet and improving your exercise routine. For this, you need two parallel bars that can hold your weight. Grasp the bars, one in each hand, so that you’re facing outward. Lift yourself up on the bars and straighten your arms. Your body should be perpendicular, or at a 90-degree angle, to the bars. Lift your legs up together so that they are parallel to the bars. Your body should look like an L. Hold the position, then repeat. Squat down with one arm on the floor centered to your body and slightly in front of your feet. Keeping your arm in place, jump back with both feet, taking a plank position. Jump with both feet forward into the squat position and stand up. Repeat with your other hand as your base. From a squatting position, place your right hand on the ground next to you and rotate your body over your hand so that your left hand can reach the ground. Split your legs outward so that you reach the handstand position with your legs already stretched. Finish the rotation into a squat position and then reverse the action. Stand with your feet shoulder-width apart and your arms extended outward. Kick your right leg forward, then return it to position. Kick your left leg forward and return it to position. Keep your kicks controlled and be sure to keep your back straight. The classic push-up is a go-to move for anyone working in a confined space. If you want to spice up your push-up or impress the people around you, you might add a clap as you propel yourself upward from a plank position into the air. Two claps are even more impressive. However, throw in the third clap, and you’re working on your speed and stamina. The faster you can get with your claps, the better your push-ups will be. For any of the above exercises, it’s good to have a personal trainer help you out the first time you try them. A professional can watch your form and help you learn the moves correctly. 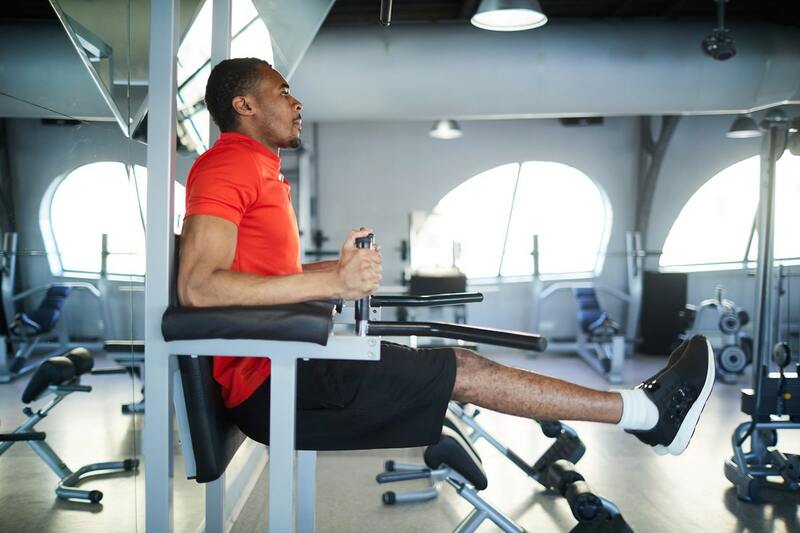 Come to Mountainside Fitness, the best family fitness center in Phoenix, AZ, and experience the difference our facilities and amenities will make for your exercise regime. We eliminate excuses, so you can be healthier, and your children will have fun while you’re there.